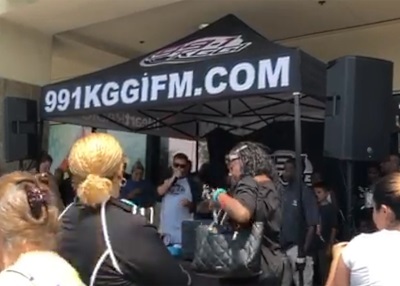 Riverside, California radio station selects Thump 15BST and Thump Connect app to reinforce community engagement events and field broadcasts. 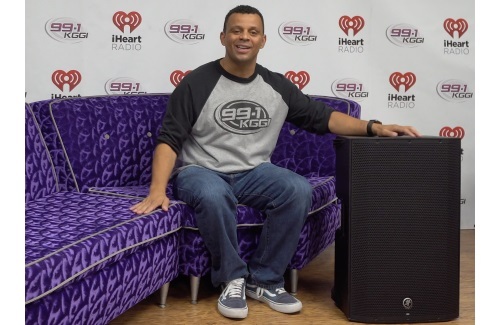 Riverside, California’s KGGI 99.1 FM recently geared up with new Mackie Thump Boosted powered loudspeakers for sound reinforcement at its many live community engagement events and field broadcasts. The first thing that attracted Wagers to the Thump Boosted line was Mackie’s long-standing reputation for durability. “One thing about being in the streets and doing all these types of events is, we need to have great equipment here. It has to be reliable.” Since many events are outdoors, and the Riverside metro area is hot much of the year, next-generation system protection and thermal limiting prove invaluable. Next came portability, given the sheer frequency of events for which KGGI staff needs PA systems. “Number one, they’re lightweight,” notes Wagers. Indeed, the largest full-range model in the line, the Thump 15BST, packs 1,300 watts of clean and cool-running Class-D power, a 15-inch woofer, and 1.4-inch titanium dome tweeter into a package weighing only 35.1 pounds. The Thump 18S subwoofer weighs in at only 82-pounds. “Number two, they absolutely sound amazing in all our applications,” Wagers continues. This is partially thanks to Mackie’s Dynamic Bass Response technology, which allows for unprecedented transient response even at the lowest frequencies, for bass that’s tight, chest-thumping, and never flabby. Vita+ preamps also contribute, employing Wide-Z gain to accommodate signals from mic to line to instrument with clean reproduction and correct impedance. Six DSP modes voice the speaker for different applications and venue sizes. Another dimension of wireless control is the Thump Connect app for iOS and Android devices. Thump Connect allows command of all of the mixing and DSP functions and lets KGGI team members quickly adjust the sound or squelch the unlikely problem from anywhere onsite.